“The massive skull and jaw of a 13-million-year-old sperm whale has been discovered eroding from the windblown sands of a coastal desert of Peru…The giant 3-meter (10-foot) skull … was found with teeth in its top and bottom jaws up to 36 centimeters (14 inches) long. How awesome is this? 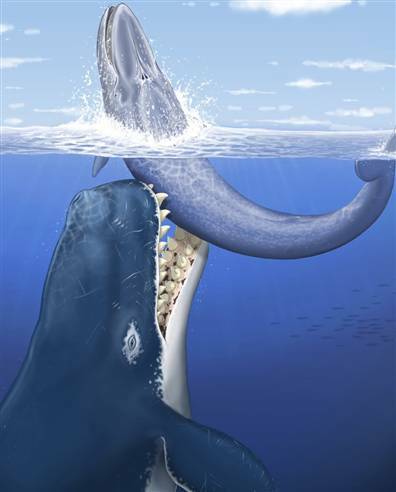 In our dreams, this whale-eating-whale still exists and is out there, eating whales as I type! !